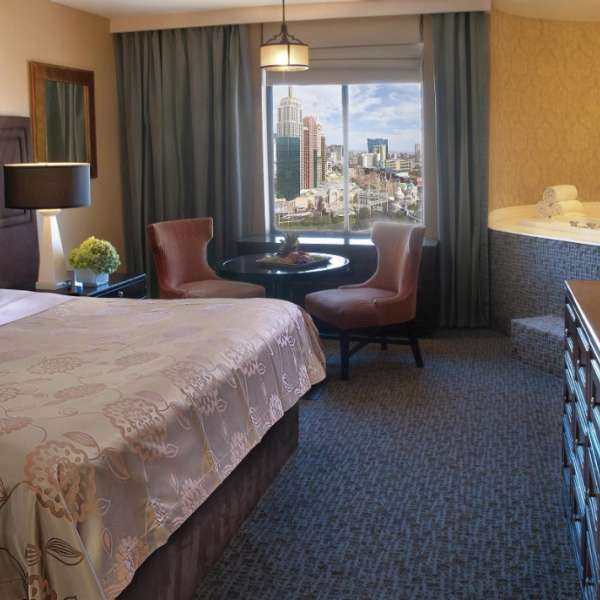 Romance and relaxation reign in our Resort Superior Room, boasting glittering views of The Strip. 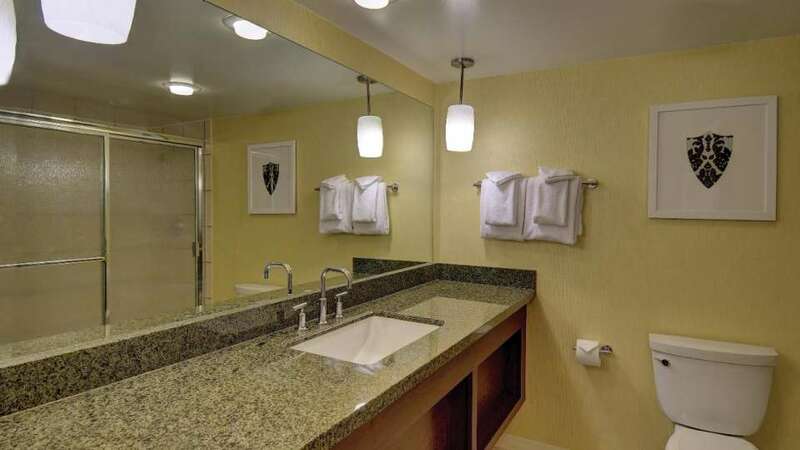 Indulge with a 42” flat screen cable TV, in suite soaking tub and luxurious bathroom featuring granite countertops. 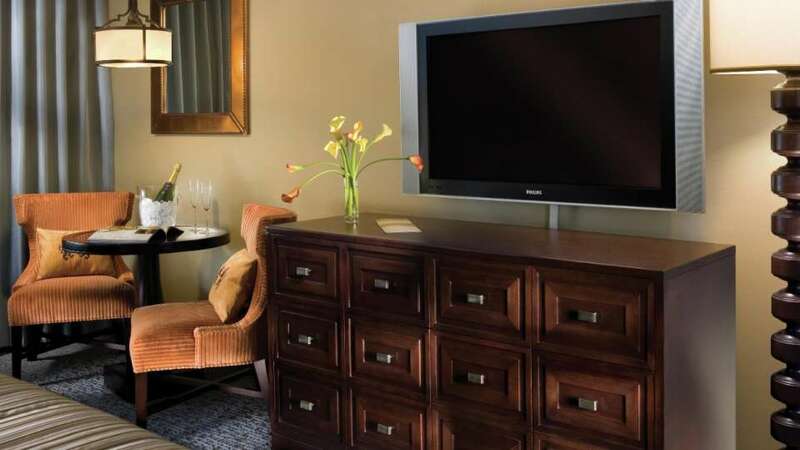 Wi-Fi, an in-room safe and more make for an incomparable stay. 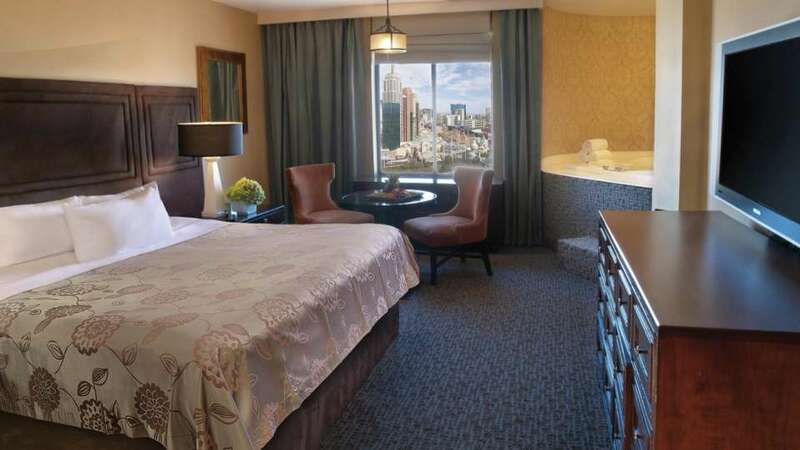 Romance and relaxation reign in our Resort Superior Room, boasting glittering views of The Strip. 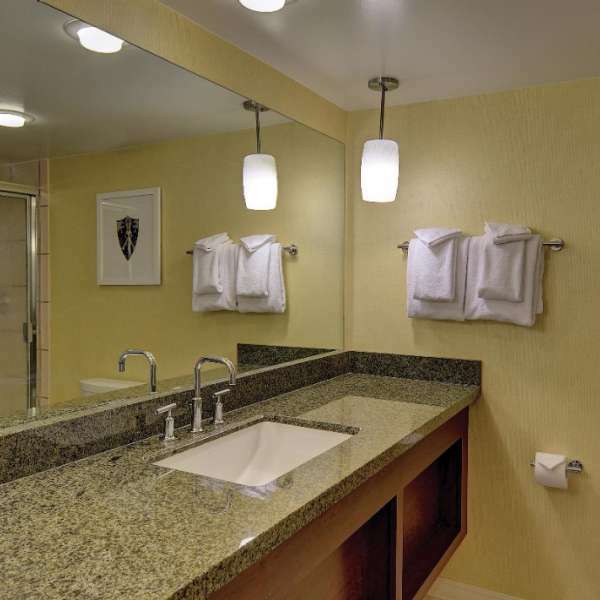 Resort Tower bathrooms feature luxurious granite countertops. 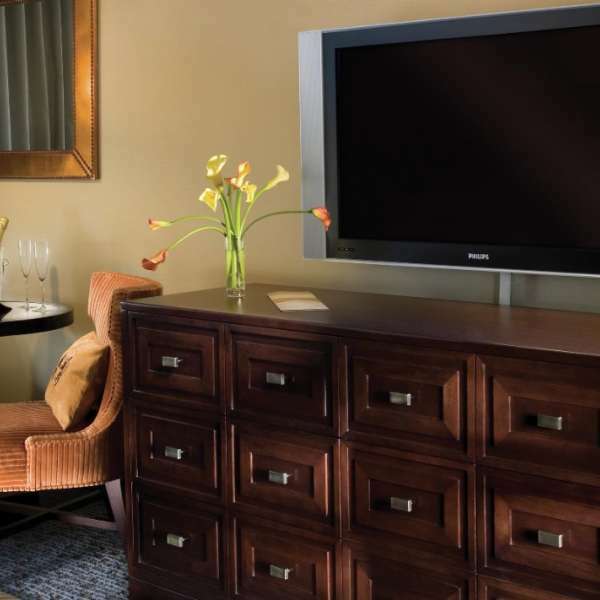 Indulge with a 42” flat screen cable TV. Unfortunately, no seats are available. Please select another time or call 702.597.7025. The inside view of our revitalized Royal Superior King are just as inspiring as the ones right outside your window. 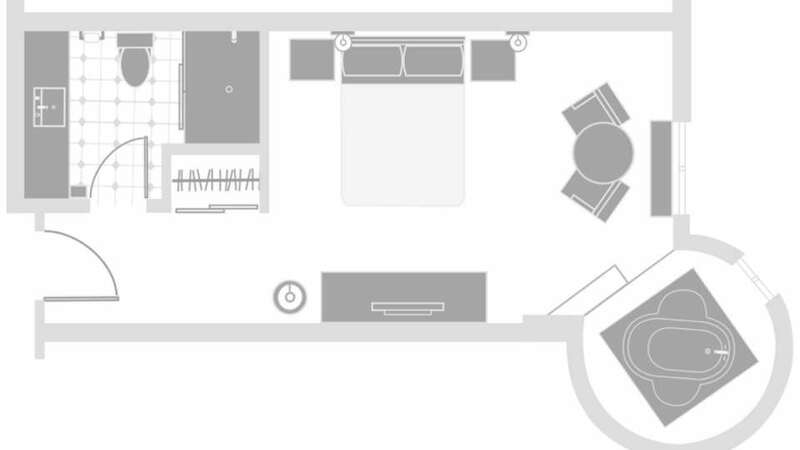 Living the suite life begins in our Resort Luxury Suite, complete with a bedroom and separate space to entertain.